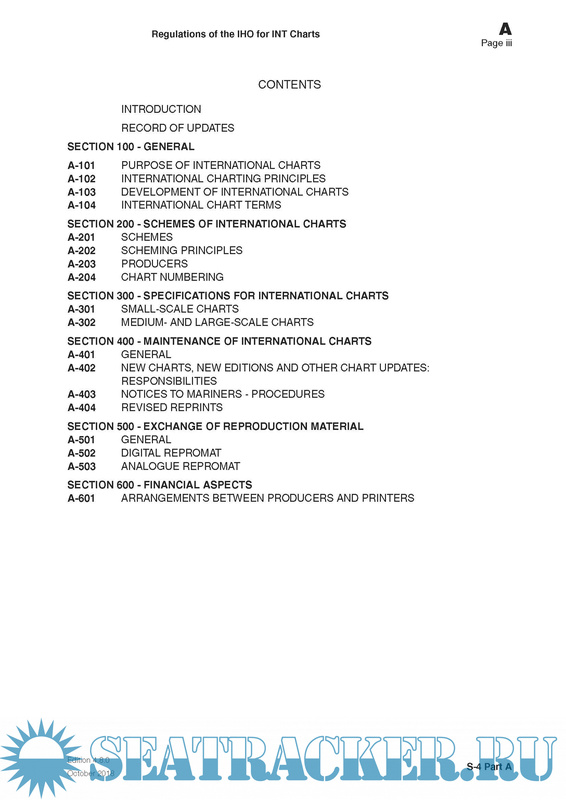 The three Parts of S-4 are further subdivided into Sections dealing with specific topics. 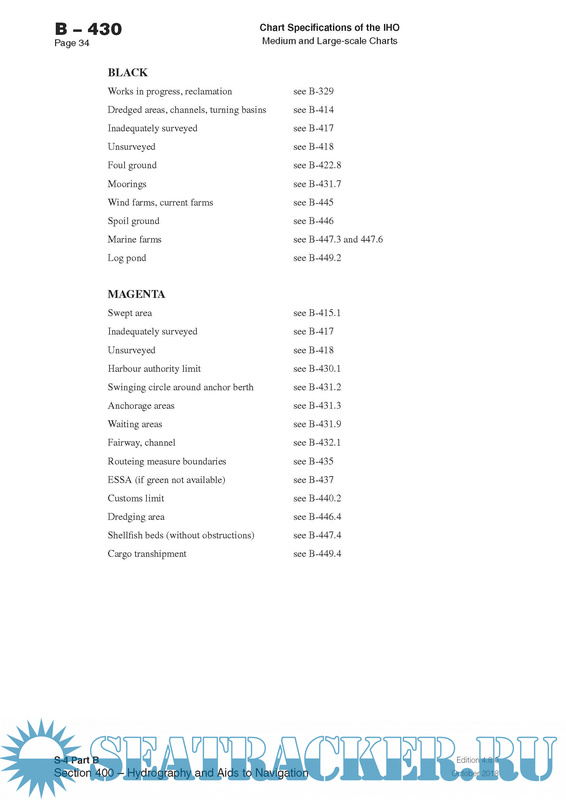 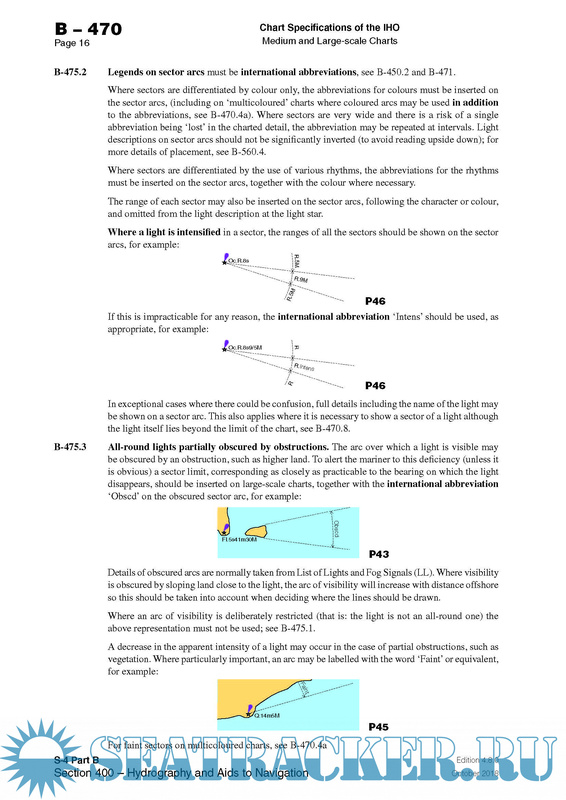 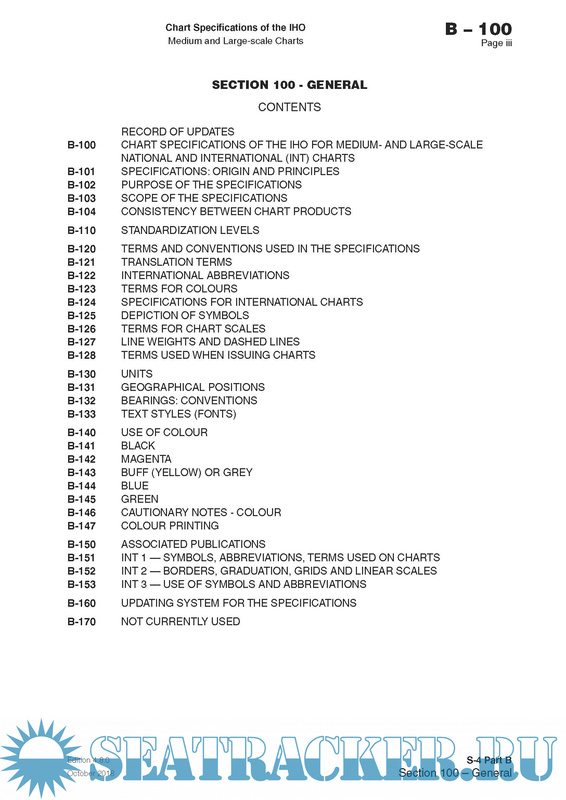 Regulations and Specifications relating to particular topics may be found either by their subject matter in the Contents page at the beginning of each Section, or by reference to column 5 of INT 1 for Part B and the index for Part C. Cross referencing draws attention to related Regulations, Technical Resolutions and Specifications. 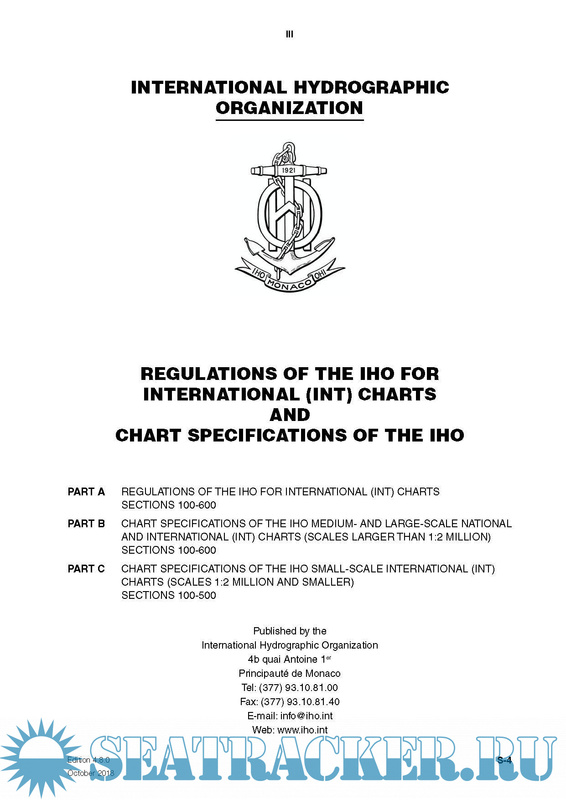 This publication was developed and maintained by the IHO’s Chart Standardization Committee to 2003. 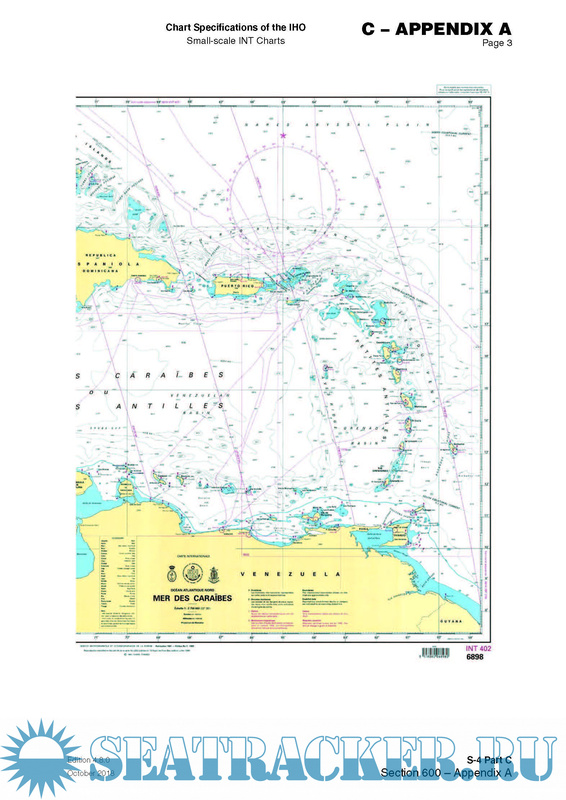 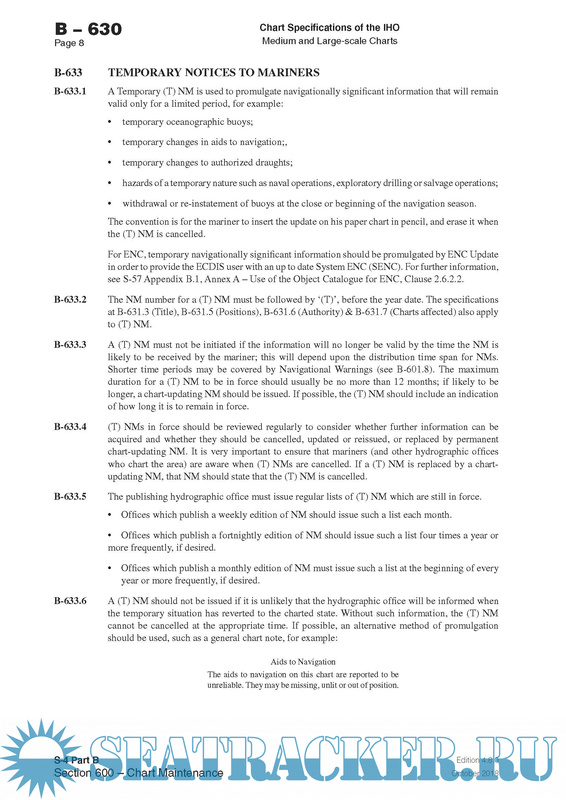 Its maintenance is now the responsibility of the Nautical Cartography Working Group (NCWG), to which comments and corrections should be advised.